Janta Dal United (JDU) chief Nitish Kumar will be sworn in as the Chief Minister of Bihar on 20 November. The ceremony, scheduled to be held at the Gandhi Maidan in Patna, will be attended by a number of politicians, including Uttar Pradesh Chief Minister Akhilesh Yadav and senior Samajwadi Party leader Shivpal Yadav. 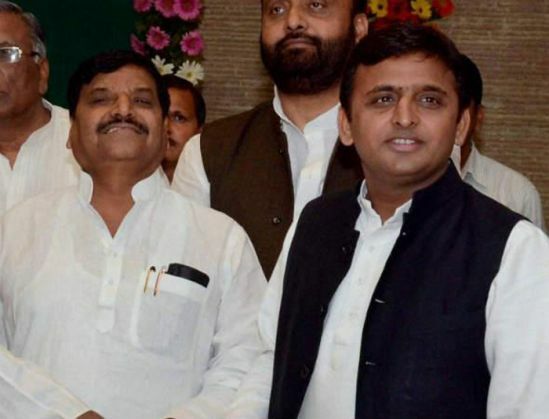 Though it may be too early to indicate a socialist regrouping in UP, Akhilesh and Shivpal are taking a small but important step by attending the swearing in. The SP was a part of the Grand Alliance in Bihar, but SP chief Mulayam Sigh Yadav backed out at the last moment objecting to the inclusion of the Congress in the alliance. The most prominent person among Nitish's anti-BJP guests will be Delhi Chief Minister Arvind Kejriwal, who has been fighting with the BJP over a range of issues ever since the Aam Aadmi Party (AAP) crushed the BJP in the 2014 Delhi Assembly elections. Another prominent guest is West Bengal CM Mamata Banerjee, who will be taking on the BJP in the upcoming West Bengal Assembly elections. From the Congress party, the anti-BJP guests include Rahul Gandhi, Himachal Pradesh CM Virbhadra Singh and Kerala CM Oommen Chandi. Other prominent anti-BJP voices include former Jammu and Kashmir CM Omar Abdullah and former Tamil Nadu CM and Dravida Munnetra Kazhagam (DMK) chief M Karunanidhi's son MK Stalin. Karunanidhi took to Twitter to apologise for not being able to attend the ceremony. He said he wanted to personally congratulate Nitish but would not be able to owing to his wife's ill health.